Sometimes, when the crowds get too much and your local café is just too busy, you need to break free from the bustling city and hit the open road (or water) in search of something new, exciting and hopefully delicious. When we embark on an adventure, there's a good (read: definite) chance it will involve a meal. So, next time it all gets too overwhelming and you jump at the chance for a road trip, we've got you covered. Here are our top 8 restaurants a short drive from Sydney. After a lunch or dinner at one of these, you'll feel miles away from the real world. Come to us, oh decadent Bannisters, make your picturesque scenery and your delicious food ours forever. Set foot in the door and you'll never, ever want to leave. Find a sunny spot on the deck, crack open a bottle of wine and order pretty much everything off the menu. The lobster salad with avocado, green beans and parsley is melt-in-your-mouth delicious, and the Singapore chilli blue swimmer crab is worth every bit of saucy goodness you'll have to mop up. We've all spent a boozy weekend visiting wineries in the beautiful Hunter Valley, and when doing so, it's easy to miss some spectacular dining opportunities. The menu at Margan reflects a farm-to-table outlook that results in a seasonal menu featuring whatever is fresh and of the highest quality from the farm. If you're just passing through, be sure to drop in for a delicious breakfast with a view to die for. The three-and-a-bit hour drive to Orange is well worth it when you have a decadent lunch or dinner at the end. Make a trip of it and explore the Blue Mountains and Leura on your way through before ending up in scenic Orange. 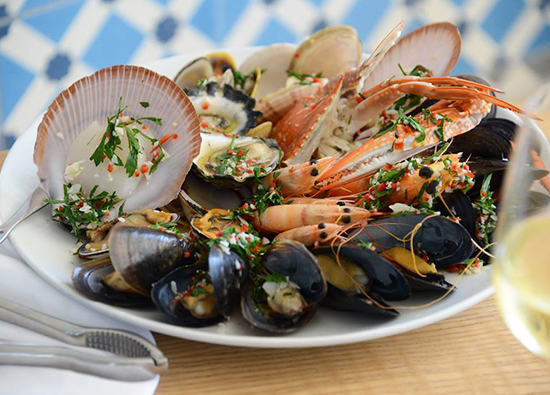 Racine offer a choice of the three-course a la carte, or a 5 or 7 course set menu. If you go for the set menu, get excited for the duck with onion, carrot and fresh orange. Known as one of the best restaurants in Australia, Biota Dining focuses on local produce and sustainability and offers a selection of tasting menus that aim to remind us about the stories behind our meals. Choose from the three, five, or seven course tasting menus and be prepared for a complete dining experience that you've probably never experienced, and will definitely never forget. Described as 'the very essence of Mudgee', Roth's Wine Bar combines live music, vintage interior and a delicious menu to boot. Start off with a bottle of wine from the mainly locally sourced menu, and move on to the crispy, crackly pork belly. It would be rude not to cap things off with the perfectly saucy banana butterscotch pudding for dessert – so you better give that a go, too. When we found out there was a restaurant called Sprout, and it lived on a place called Honeysuckle Drive, we knew we had to visit immediately if not sooner. Given Sprout's waterfront location, heading in for a long, lingering lunch is a good call. The squid ink penne with chorizo, prawns, clams, tomato and chilli is a must-try. This one is more of a sea trip than a road trip. Seriously, it's only accessible by water, your choice of boat, ferry or just on a casual seaplane. It's definitely worth working out how you'll get there though – The Berowra Waters Inn offer an indulgent degustation-style menu that changes each season. Make this your next special occasion destination and consider staying the night at any of the local properties. 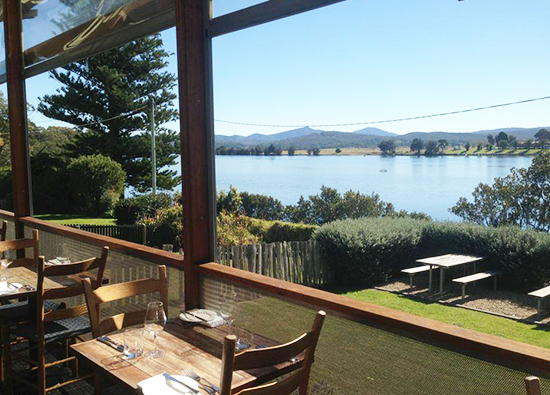 The name doesn't lie; The River sits on the beautiful Moruya River on the south coast of NSW. Settle in for an afternoon or evening and work your way through the locally-sourced menu. The lightly cured salmon, avocado, smoked eel croquettes with chive and ginger vinaigrette is the perfect way to begin, and the duck breast with shallot puree is a wonderful way to continue. Can't decide? Go for the five course tasting menu with optional matching wines.